Our life can’t leave writing paper, it is a necessary carrier for human to express their thoughts and feelings. 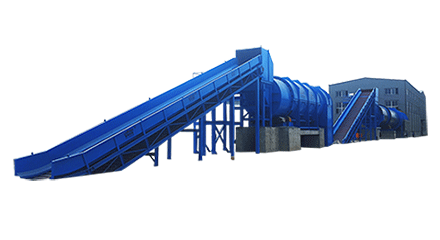 Cultural Paper is a high-grade fine paper for us to write, introduce one special equipment: 2400mm Multi-wire Twin-cylinder Cultural Paper Machine. 1.Circular wire section: φ1500mm × 2850mm stainless steel cage, four φ450mm × 2850mm roller, (including a return roller) rubber hardness Shore 380 ± 2, pneumatic pressure device, with pressure spray circular three wire shapers. 2.Pressing section: one stone roller of φ800mm×3000mm, one rubber roller of φ750mm×3000mm, rubber hardness of Shore±900±2, pneumatic pressing device. 3.Drying section: two φ2500mm×2850mm drying cylinders, twelve φ1500mm×2850mm drying cylinders, arrangement: (1+6+ sizing machine +1+6), φ600mm×3000mm rubber roller two, φ400mm×3000mm Two pressure rollers, rubber hardness of 380 ± 2, pneumatic pressurizing device, the upper and lower dry mesh devices are set in the cylinder part, and the dry mesh device is set in the large cylinder. 4.Calendering and winding section: equipped with three-roll calender and cylindrical reel. 5.Transmission and control department: adopt AC frequency conversion speed regulation, step-by-step transmission, and full digital closed-loop control system. Output paper: writing paper, A4 paper, office paper, etc. 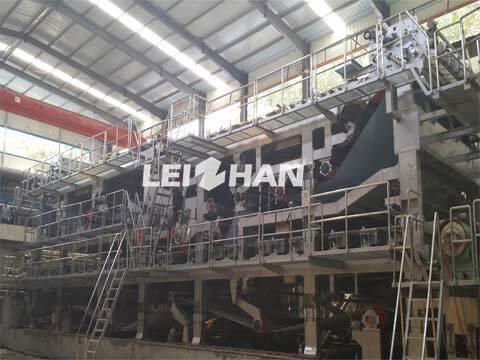 If you are interested in this Cultural Paper Machine, welcome to consult: leizhanpulper@gmail.com.